ShipStation updates any order source you connect. Automate everything with smart rules that you can customize. Prevent running out of stock by track your inventory. Create labels and packing slips one at a time or in batches. Save up to 52% off USPS rates using ShipStation. Whether you ship 20 boxes a month or 20,000 a day, you get the best USPS discounts in the industry. We want every seller to be able to compete with “the big guys,” so compare prices with our real-time rate information. Get discounts up to 29% off FedEx and 20% off DHL Express. 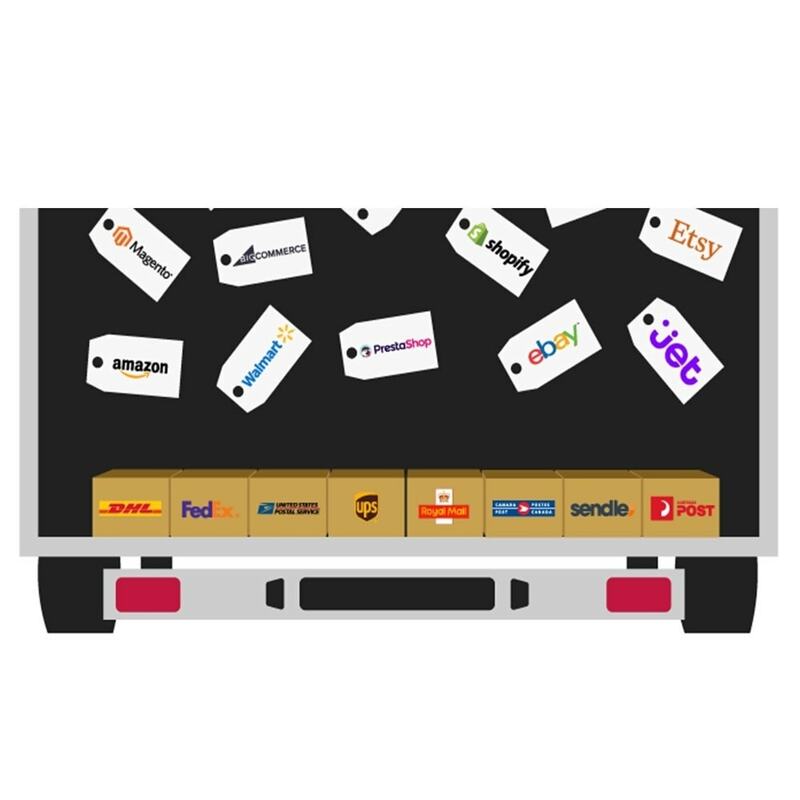 You can also connect your existing accounts with your existing negotiated rates.We are “UPS Ready” certified globally, we support DHL Express in the U.S., Canada, United Kingdom, Australia and more! For example, Canadian users can connect their Canada Post and Purolator accounts and in Australia, we offer Australia Post and Sendle as a smart and carbon-neutral option. We validate addresses automatically. This includes U.S., UK, Canada, Australia and seven other high-volume countries. We also provide excellent rates to ensure your parcels with ShipSurance. Create a successful brand. Engage with your shoppers by customizing your email notifications, packing slips, shipping labels, returns portal, and tracking page. We connect easily wherever you sell. 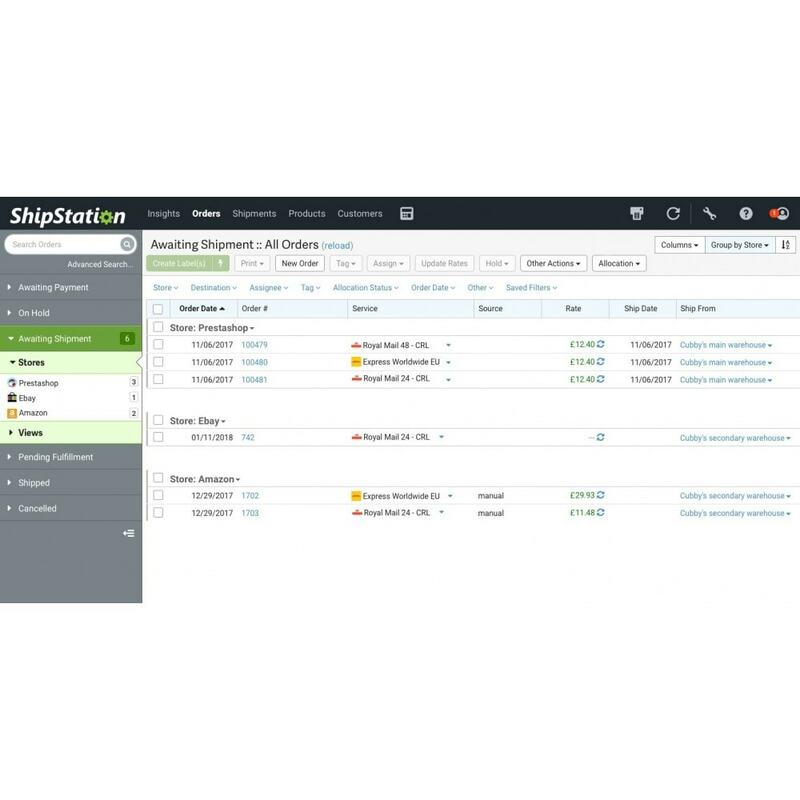 ShipStation integrates with online storefronts, marketplaces, shopping carts, and we’re continuously adding more. We’re web-based. ShipStation lives in the cloud, so you don’t have to install a single thing to get started. You can also use ShipStation in any modern web browser. Print mailing labels in one easy step. Select your orders, choose your shipping options (or set up shipping automation rules). Easily see which orders you need to pick. With ShipStations pick list, you can get a report of all the products you need to pick or produce. We’ll automatically sort your products by their name, quantity, or warehouse location (& also group them by SKU and/or name). Automate everything with an easy setup. 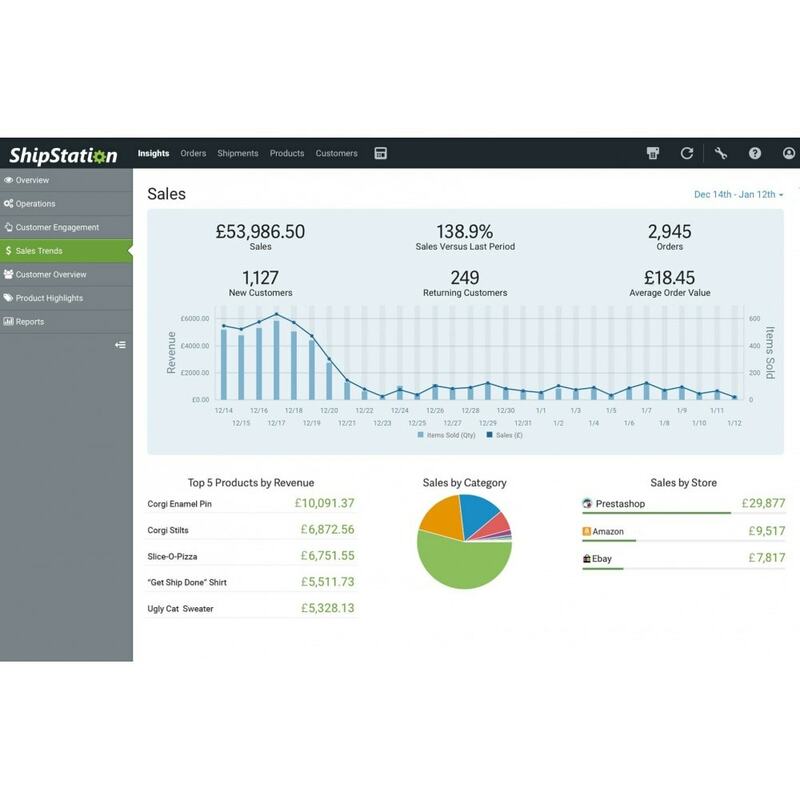 ShipStation offers order and shipping automation options, so every single task and shipping decision can happen automatically. Display and build your brand. ShipStation’s custom shipping labels give you the freedom to add your logo/branding when creating shipping labels and packing slips. Read their minds. When a shopper selects a specific method of shipping from your store, we’ll import that info, so you can process it automatically.